Then the super excited me went to their website to check to see whether it's real or not, cuz it seems like a scam to me, I mean, its too good to be true la! So yea, I went to their website to take a look. 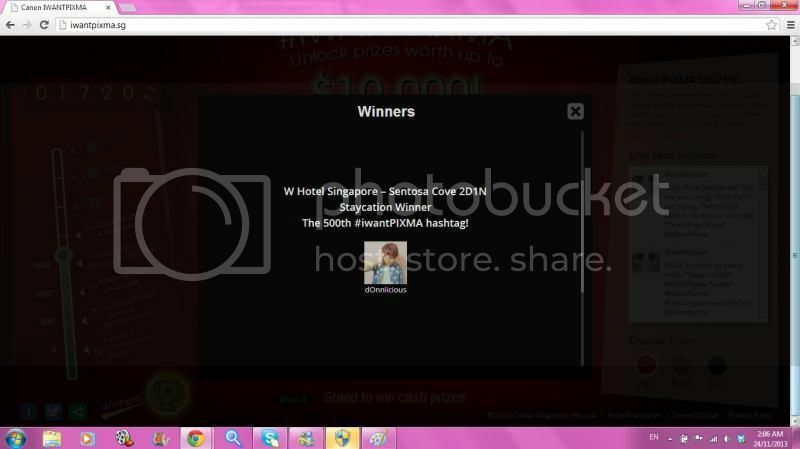 Indeed, I was the winner of the 500th tweet hash tag of #IWantPixma!!! OMG! HOW LUCKY CAN I GET?!!! 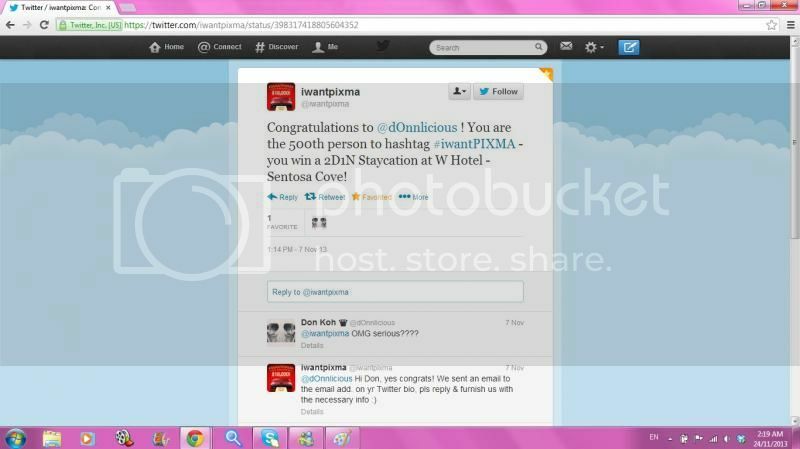 I won myself a 2 Day 1 Night stay at W Hotel at Sentosa Cove! I've always wanted to have a staycation of my own and finally Canon Pixma have granted me my wish! YAY! As I received this joyous news, my friend was beside me, and he was cursing and swearing how "LUCKY" can I get?!!!! LOLOLOLOLOL!!! Then I checked my email, and YES! I AM INDEED THE WINNER! HAHAHAHA! I can't be greedy and keep asking for more, but I really hope I'll win some cold hard cash from that contest. Hahaha! Now what are you waiting for? Click on the link http://iwantpixma.sg and watch the video, look out for the questions and answer them on Twitter with the hash tag, #IWantPixma and you can stand a chance to win fantastic prizes! 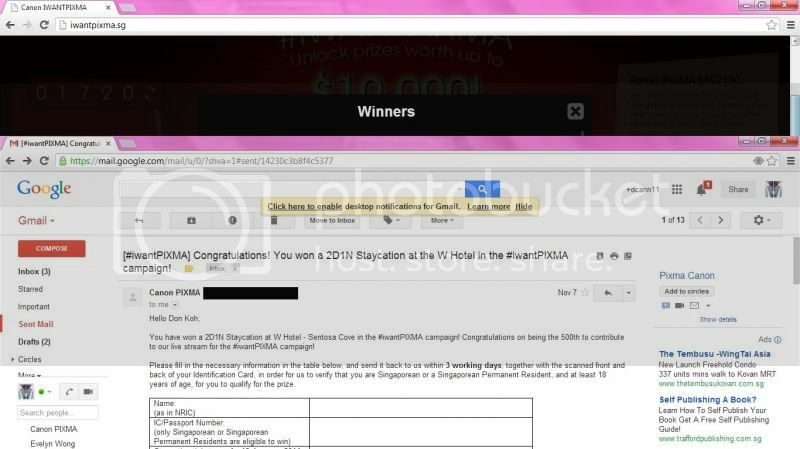 Not only me, Noelle @NoelleMikazuki was one of last week's winners! I'm so happy for her! I hope all the CNOS peeps will take home the prizes for each week! Hahaha!